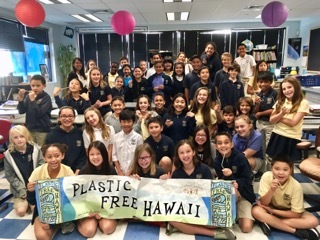 Plastic Free Hawaiʻi offers school presentations throughout the year to schools, businesses, and community groups on Oʻahu. Presentations cover the local waste stream, as well as the issue of plastic pollution and solutions we can tackle. Please e-mail [email protected] to request a Plastic Free Hawaiʻi presentation for your school or community group!